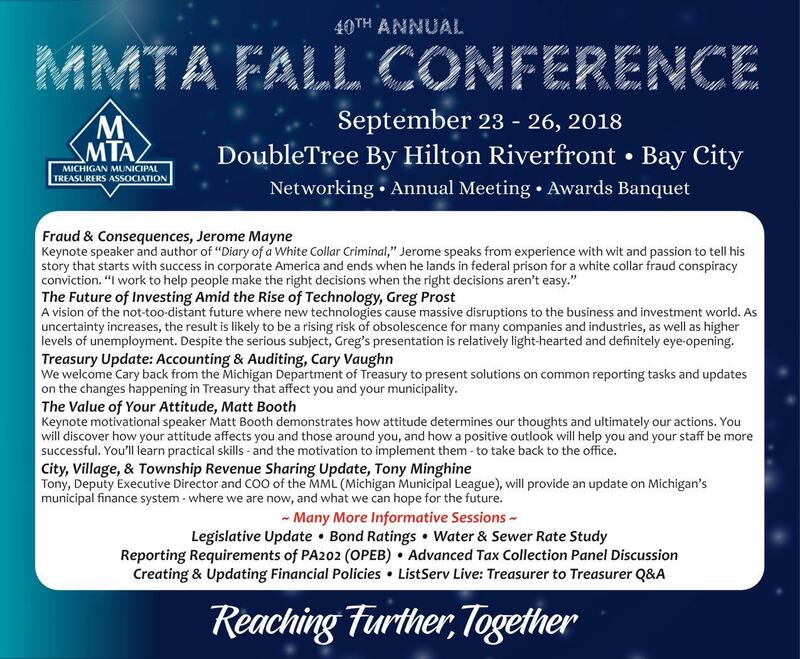 Register for the MMTA Fall Conference here. For more information on sessions, scroll down this page. Register by September 7 to avoid a $60 late fee. Any cancellation must be submitted in writing by September 7 to be eligible for a refund. Contact your association manager with any questions via email or at (989) 820-8389. Rooms are sold out at the DoubleTree by Hilton Riverfront in Bay City. For questions or to check if rooms have become available, contact the hotel directly at (989) 891-6000. Negotiated conference rates were $104/night for a city view room and $114/night for a riverview room. There are also rooms available at the Comfort Inn Bay City - Riverfront at the same rates. The Comfort Inn is right next door to the DoubleTree and has easy access to the conference facilities. Call the Comfort Inn at (989) 892-3501 for reservations. Note: we are now past our room reservation deadline; neither hotel is obligated to honor our negotiated rate. 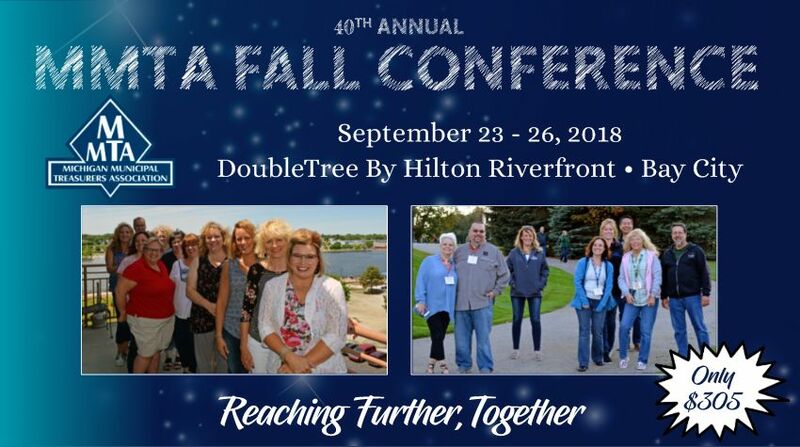 Click here for a Fall Conference complete schedule. Schedule is subject to change.